The spark for this page came when I was paging through a recent batch of Look Magazines that I was going to list on eBay. I had so much fun going through the contents that I thought others might enjoy being able to glance through them as well. I didn’t want to look at these with the same detail that I give to our Random Issues, as this would then become a six-month project, yet at the same time I wanted to at least capture the essence of this grouping of old magazines. 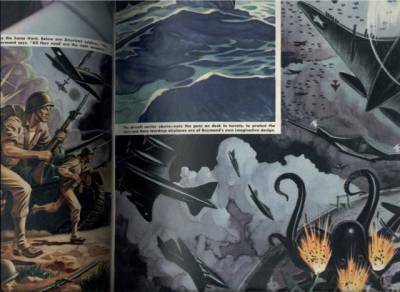 I thought I could preserve my own enjoyment of this grouping by bringing the cover images and contents listings over to this site. 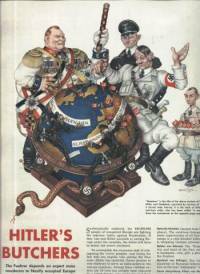 I think the titles of the articles with a few supporting comments give anybody who happens to be interested a great primary source to the world of 1942 from Look’s unique perspective. At the same time, I did a lot of work creating these listings and the prices realized were a little bit better than usual, so why not spice the page up with some selling tips as well? 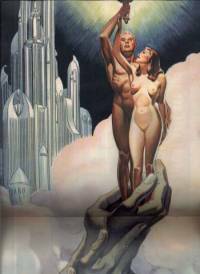 You can read my detailed process describing how to list magazine back issues for sale here. The magazines are listed below. I give you the date, the price the item sold for if it sold, a cover image, the contents page along with any additional comments when I felt that they were warranted, and the grade (though I do spare the details. If curious please check my Grading Guide on this site). All items started at minimum bids between $4.99-$9.99 and the bidding closed on January 13, 2006. 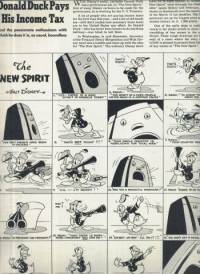 This is not a “Price Guide” but rather a guide to potential prices. Enjoy! 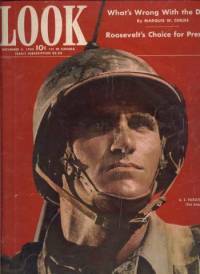 Cover photo of US Army Air Force member by Rudy Arnold. 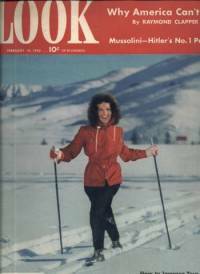 Cover photo of Elyse Knox is by Paul Hesse. 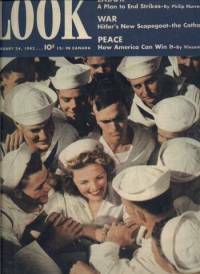 Cover photo of Elyse Knox at a Naval Base is by Paul Hesse. 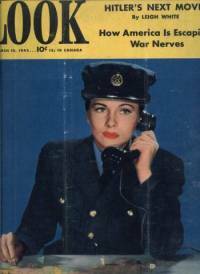 Cover photo of Joan Fontaine is by Frank Pawolny. 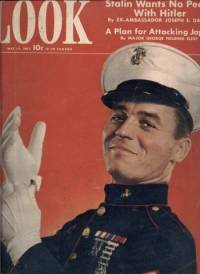 Cover photo of Sergeant Otto Nuske of the US Marine Corps is by Leon De Vos. 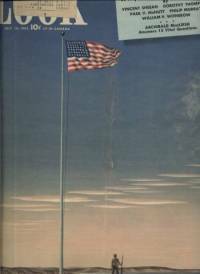 “America We Stand” cover painting done by John Atherton. This is from the week/month that practically every US publication banded together to show US solidarity by incorporating the image of the American Flag into their cover in some way. Very collectible. 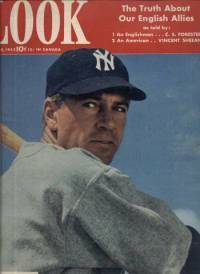 Cover photo of Gary Cooper as Lou Gehrig in “The Pride of the Yankees”. 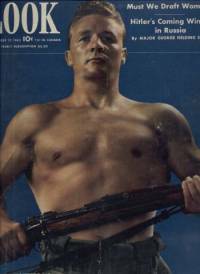 Cover photo of Brig. Gen. James H. Doolittle by Sherwood Mark. 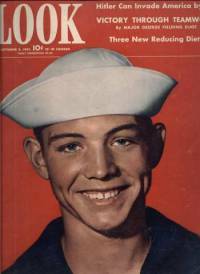 Cover photo of Apprentice Seaman is by Bob Hansen. Cover photo of Sheila Johnson is by Leon De Vos. 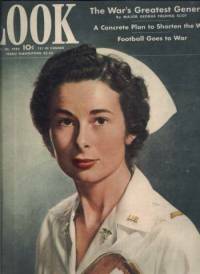 Cover photo of Army Nurse Mildred Minns by Paul Hesse. 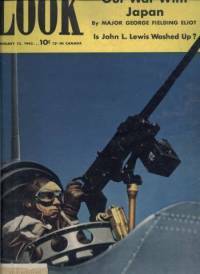 Cover photo of US Paratrooper by Leo Aarons. 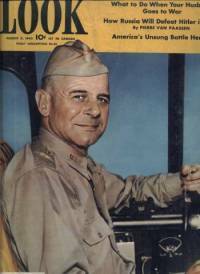 Cover photo of Corp. John Kornoff by Leo Aarons. 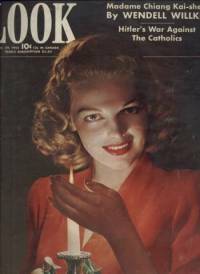 Cover photo of Universal starlet Elyse Knox is by Paul Hesse. 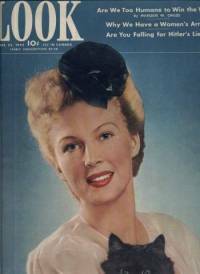 Photoplay and the Movie Magazines bring early Hollywood home to collectors. 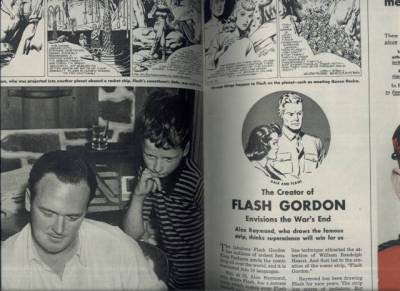 A History of the Saturday Evening Post Inside and Out. More than just Covers.